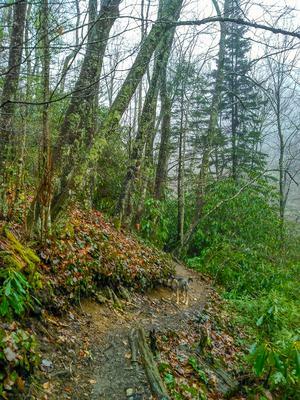 Here is a list of all trails in the Graveyard Fields Trailhead area. 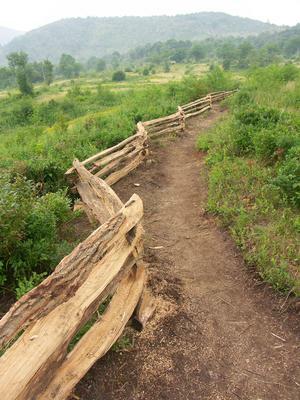 For general information about the Graveyard Fields trailhead, see the Graveyard Fields Trailhead page. This loop travels through a unique, high-elevation, flat valley to a spectacular cascading waterfall. Braided streams, open valleys, short high-elevation forests, rhododendron & galax groves, clear pools. See Also the Graveryard Fields Best Hike. Connects the Second Falls spur of the Graveyard Fields trail to the Mountains to Sea Trail. 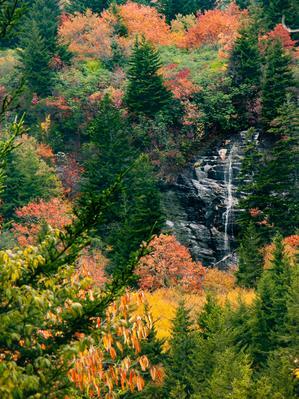 Can be used to access the Skinny Dip Falls area from Graveyard Fields, or the other way around.